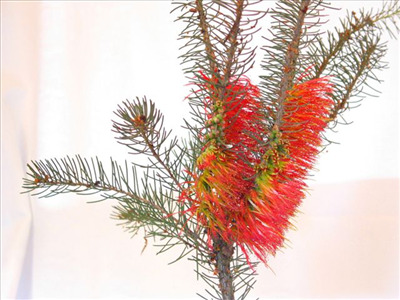 Ornamental low shrub from Western Australia with pine-like foliage and red flowers in winter-late spring. Tolerant of a wide range of soils and situations. Useful low screen. Grown commercially for cut foliage. Propagation Information: Seed germinates readily. No pre-treaments required. Also grown by cuttings.